In April 2012, IFAD approved a grant to support Indigenous peoples’ (IPs) full and effective participation in the United Nations Conference on Sustainable Development (Rio+20). The grant will help provide 100,000 USD for several activities related to the Conference. Preparatory meetings of indigenous peoples’ representatives at regional level will serve to consolidate their perspectives and concerns for inclusion in the Rio +20 discussion text. These will also serve to assess and report on how indigenous peoples have implemented sustainable development in their own communities over the past 20 years. The reports and best practices produced will be consolidated into a book, to be completed by June 2012. The grant will also support the establishment and functioning of the Secretariat of the Global Coordination Committee of Indigenous Peoples in Rio de Janeiro. The Secretariat will, among other things, coordinate the activities planned in Rio de Janeiro, the arrival of indigenous participants and theirs participation to influence the Third Prep-com. Finally, IFAD’s grant will support participation of indigenous peoples’ representatives at the Indigenous Peoples Global Conference (IPGC) to be held in Rio de Janeiro from June 16-19, just prior to the Rio+20 Conference itself. The IPGC conference will cover four themes: a) the right to land and legal security; b) impact of extractive industries on the good living of indigenous peoples; c) food sovereignty and the right to food; and d) development with culture and identity. Indigenous peoples and their traditional knowledge are key in the conservation and sustainable management of natural resources. When traditional forms of resource management collapse, the environment suffers, putting the livelihoods of indigenous peoples at risk and pushing them into poverty and undermining our global pursuit for a sustainable future. Traditional indigenous lands and territories contain some 80 per cent of the planet’s biodiversity - but they still represent 15 per cent of those living in poverty. Enabling indigenous peoples to actively participate in major international fora allows them to advocate and shape outcomes that both preserve their cultural heritage and protect the environment. IFAD has over 30 years of experience working with indigenous and tribal peoples and ethnic minorities, and will continue to support theirs engagement in the global sustainable development dialogue through the Rio+20 process. IFAD values indigenous peoples’ knowledge, culture and practices when designing investment projects. Based on its experience on the ground, IFAD has learned that best results are achieved when programmes and projects build on indigenous peoples culture and identity. IFAD believes that one of the most effective ways to enable indigenous peoples to overcome poverty is to support and ensure that they are the co-creators and co-managers of development initiatives – and that’s why we’ve made indigenous peoples full and effective participation in Rio+20 our commitment. Find out more on IFAD’s work with Indigenous Peoples’, and read other featured stories here on our blog. More about IFAD and Rio + 20. Please note: IFAD supports indigenous peoples participation at Rio+20 through the Global Steering Committee established in Manaus in August 2011. The Committee was established by indigenous peoples' leaders to have a coordinated presence in RIO. See the agreement Moving Towards Rio+20 for additional information. 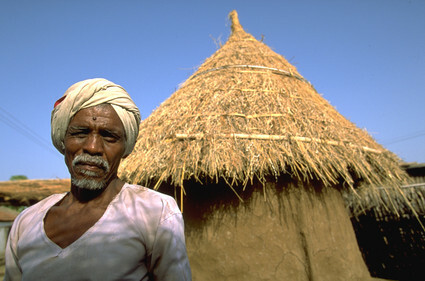 IFAD’s direct contact is the UN Permanent Forum on Indigenous Issues, represented in the Steering Committee.